L-810 Solar powered L-810 LED Obstruction Light, FAA approved L-810 Light, certified and tested, Zone 4. L-810. Night Marking Telecommunication Towers Solar Obstruction Light - Applications: Obstruction light for a wide variety of cranes used in Harbors, Metallurgies, Towers (Telecom, GSM,Smokestacks, Buildings and any other potentially hazardous obstructions for air traffic with a steady burning red or flash safety light. 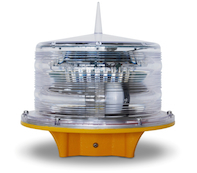 Aviation Light for Towers, Aviation Warning Lights, L-810. Night Marking Telecommunication Towers Solar Obstruction Light - Applications: Obstruction light for a wide variety of cranes used in Harbors, Metallurgies, Towers (Telecom, GSM,Smokestacks, Buildings and any other potentially hazardous obstructions for air traffic with a steady burning red or flash safety light. Night Marking Telecommunication Towers Solar Obstruction Light - Applications: Obstruction light for a wide variety of cranes used in Harbors, Metallurgies, Towers (Telecom, GSM,Smokestacks, Buildings and any other potentially hazardous obstructions for air traffic with a steady burning red or flash safety light. Solar Night Marking Water Towers Obstruction Light - Applications: Obstruction light for a wide variety of cranes used in Harbors, Metallurgies, Towers (Telecom, GSM,Smokestacks, Buildings and any other potentially hazardous obstructions for air traffic with a steady burning red or flash safety light. Solar Obstruction Night Marking High-Voltage Power Lines Light - Applications: Obstruction light for a wide variety of cranes used in Harbors, Metallurgies, Towers (Telecom, GSM,Smokestacks, Buildings and any other potentially hazardous obstructions for air traffic with a steady burning red or flash safety light. Aircraft Warning Lights for Telecommunication Towers, Obstruction Night Marking High-Voltage Power Lines Light - Applications: Obstruction light for a wide variety of cranes used in Harbors, Metallurgies, Towers (Telecom, GSM,Smokestacks, Buildings and any other potentially hazardous obstructions for air traffic with a steady burning red or flash safety light. Landfill Solar Obstruction Lighting and Aircraft Warning Lights for Telecommunication Towers, Obstruction Night Marking High-Voltage Power Lines Light - Applications: Obstruction light for a wide variety of cranes used in Harbors, Metallurgies, Towers (Telecom, GSM,Smokestacks, Buildings and any other potentially hazardous obstructions for air traffic with a steady burning red or flash safety light. Aviation Obstruction Lighting Solar Powered and Aircraft Warning Lights for Telecommunication Towers, Obstruction Night Marking High-Voltage Power Lines Light - Applications: Obstruction light for a wide variety of cranes used in Harbors, Metallurgies, Towers (Telecom, GSM,Smokestacks, Buildings and any other potentially hazardous obstructions for air traffic with a steady burning red or flash safety light. Solar Tower Obstruction Light - Applications: Obstruction light for a wide variety of cranes used in Harbors, Metallurgies, Towers (Telecom, GSM,Smokestacks, Buildings and any other potentially hazardous obstructions for air traffic with a steady burning red or flash safety light. Solar Crane Obstruction Light L-810- Applications: Obstruction light for a wide variety of cranes used in Harbors, Metallurgies, Towers (Telecom, GSM,Smokestacks, Buildings and any other potentially hazardous obstructions for air traffic with a steady burning red or flash safety light. Low Intensity Obstruction Light Single, Solar Obstruction Light L-810- Applications: Obstruction light for a wide variety. Solar Aviation Warning Lights, Solar Obstruction Light, Solar Powered Obstruction Light, LED Solar Aircraft Light, Solar Aviation Obstruction Lights, Solar Tower Obstruction Light for Night Marking Telecommunication Towers, Solar Crane Obstruction Light, Solar Powered Aviation Warning Lights. Solar LED Obstruction Light - Applications: Obstruction light for a wide variety of cranes used in Harbors, Metallurgies, Towers (Telecom, GSM,Smokestacks, Buildings and any other potentially hazardous obstructions for air traffic with a steady burning red or flash safety light. 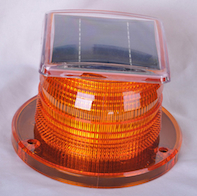 Solar Obstruction Marker Light GPS Red with Global Positioning Satellite (GPS) synchronization. Solar LED Lantern Up to 10 NM, A premium, full-featured lantern suitable for achieving longer ranges in challenging insolation locations. Average range is 3 to 6 NM with the ability to reach up to 10 NM. 96 and 200 Wh battery pack options available. Solar LED Obstruction Light, Solar LED Lantern Up to 10 NM, A premium, full-featured lantern suitable for achieving longer ranges in challenging insolation locations. Average range is 3 to 6 NM with the ability to reach up to 10 NM. 96 and 200 Wh battery pack options available. Obstruction Solar LED Light, Solar LED Lantern Up to 10 NM, A premium, full-featured lantern suitable for achieving longer ranges in challenging insolation locations. Average range is 3 to 6 NM with the ability to reach up to 10 NM. 96 and 200 Wh battery pack options available. 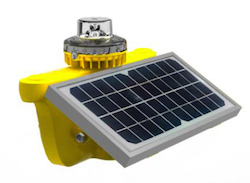 Solar Crane Obstruction Light, Solar LED Lantern Up to 10 NM, A premium, full-featured lantern suitable for achieving longer ranges in challenging insolation locations. Average range is 3 to 6 NM with the ability to reach up to 10 NM. 96 and 200 Wh battery pack options available. ICAO Low-Intensity Obstacle Light Solar, Complies with ICAO Low-Intensity Obstacle Light Type A and Type B requirements, Photometrically compliant with FAA Obstruction Light Type L-810 as per FAA Advisory Circular AC 150/5345-43F 09/12.06 (Red), Solar LED Lantern Up to 10 NM, A premium, full-featured lantern suitable for achieving longer ranges in challenging insolation locations. Average range is 3 to 6 NM with the ability to reach up to 10 NM. 96 and 200 Wh battery pack options available. 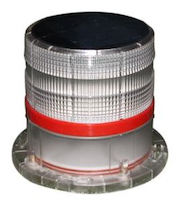 Low Intensity Obstruction Light LED Solar, Complies with ICAO Low-Intensity Obstacle Light Type A and Type B requirements, Photometrically compliant with FAA Obstruction Light Type L-810 as per FAA Advisory Circular AC 150/5345-43F 09/12.06 (Red), Solar LED Lantern Up to 10 NM, A premium, full-featured lantern suitable for achieving longer ranges in challenging insolation locations. Average range is 3 to 6 NM with the ability to reach up to 10 NM. 96 and 200 Wh battery pack options available. Solar Obstruction Lights Red, Blue, Yellow, White, Green. Obstruction Lighting Solutions Solar Obstruction Light completely self-contained LED lights are designed to suit a range of aviation and general applications including Obstruction, emergency airstrip, caution, taxiway, and threshold lighting. Solar powered L-810 LED Obstruction Light, FAA approved L-810 Light, certified and tested, Zone 4. 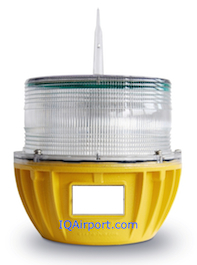 Solar powered L-810 Aviation Obstruction Light, FAA approved L-810 Light, certified and tested Zone 2. 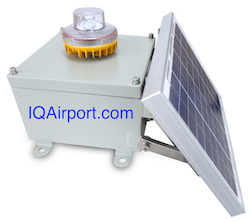 Solar powered LED L-810 Double Aviation Obstruction Light, FAA approved L-810 Light certified and tested Zone 4. FAA L-810 RED Obstruction Light Solar Powered and Solar Powered L-810 FAA Red Obstruction Light Solar Powered L-810 Obstruction Light LED FAA Type: L-810 Steady-Burning ICAO Type: Low Intensity Obstacle Light Zone 2. FAA L-810 RED LED Obstruction Light Solar Powered and Solar Powered L-810 FAA Red Obstruction Light Solar Powered L-810 Obstruction Light LED FAA Type: L-810 Steady-Burning ICAO Type: Low Intensity Obstacle Light Zone 4.